Why Should Artists Advertise in the SF Open Studios Guide? Because it is the most effective way to reach the thousands of your potential collectors who are visiting SF Open Studios during October and November! It serves to build interest in your art, direct people to your studio, and help clients follow up with you year round. 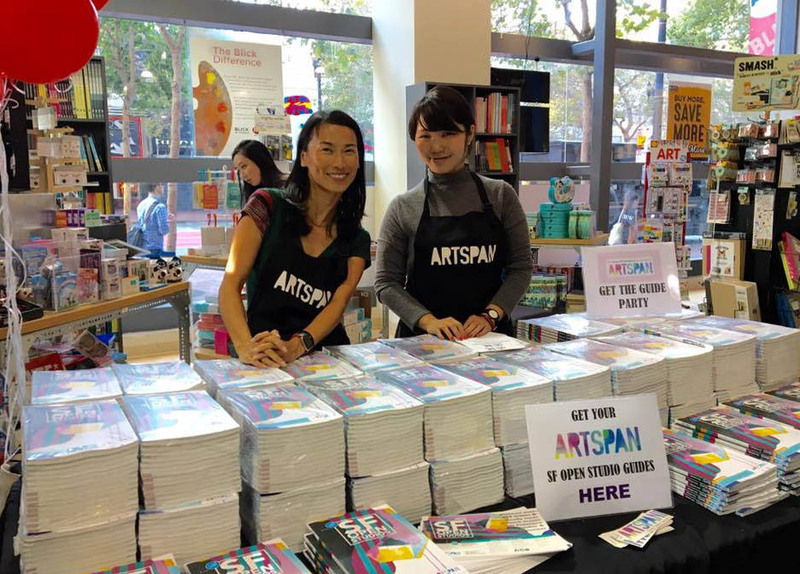 ArtSpan distributes 20,000 copies of the Guide to coffee shops, hotels, museums and bookstores, as well as retail and tourist spots throughout the Greater Bay Area. It is a resource for art collectors, art dealers, restaurant owners, interior designers, and other art enthusiasts who want to contact artists directly. Last year, the Guide was distributed to over 500 locations in San Francisco alone. SF Open Studios attendees visit the mapped artists’ locations and keep the Guide as a memento and a reference. For full ad specifications and templates, CLICK HERE. Check out 2017's Virtual Guide for a peek at last year's look. This year’s Guide will also be fully available online at ArtSpan’s website with weekend maps, artist listings, events calendar, articles, and artwork thumbnails. Advertisers in the printed Guide, at a quarter page and larger, get a complimentary ad in the On-Line Guide. To claim your complimentary ad for the web, please follow the specifications displayed below. Design services available; use this link for more information. ArtSpan reserves the right to assign advertising placement. ArtSpan is not responsible for misprints due to typographical errors, mislinked files, or mislabeled files. Advertisers will be invited to review the printed proof of their ad in the summer of 2018 (specific dates will be sent via email, add [email protected] to your contacts). Questions regarding format or submission? Would you like to pay with a check or with a credit card over the phone?